Meet Cambridge’s New Leader of Practical Nursing’s Clinical Coordinator in Altamonte Springs, Florida! Skye Roberts accepted a full academic scholarship to Bethune-Cookman University and after graduating with honors at the top of her class with a bachelor’s degree in nursing. 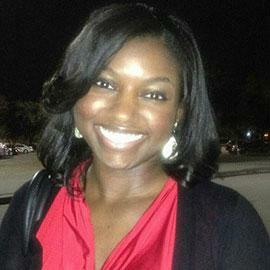 She relocated from Daytona Beach and began working in critical care nursing at a renowned hospital in Orlando. After working between critical care and homecare nursing for five years, she joined the faculty at Cambridge Institute of Allied Health & Technology as a Practical Nursing instructor, where she has flourished. Skye recently accepted the position of Clinical Coordinator and was engaged with the clinical sites instantly! Skye’s great passion is teaching. Skye enjoys making learning fun and she believes that there is no wrong way to learn, as long as learning is occurring. Her favorite part of teaching is seeing her students experience “ah-ha moments” when the students are fully understanding a difficult subject for the first time. Skye’s goals and desires for the future are to continue teaching while she completes her master’s degree, and go on to greatly impact the lives of her students and patients for years and years to come.